ISO 9001 certification, ISO 14001 certificate, ISO 17025 accreditation certification, ISO 22000 HACCP implementation, ISO 27001 certification, OHSAS 18001 certificate India Saudi Arabia Kuwait uae . ISO Certification india Mumbai dubai uae, ISO audit Bangalore, ISO certification Chennai, ISO Certification Kolkata, ISO audit ahmedabad pune. ISO Certification solutions from Lakshy Management Consultant Pvt. Ltd. is considered to be the best in terms of service delivery, certification approach, timely project completion and effectiveness. Our services for ISO certification cover ISO 9001 certification, ISO 14001 certification, OHSAS 18001 certification, HACCP ISO 22000 Certification, ISO 27001 Certification, ISO 20000 Certification, SA 8000 Certification, ISO 13485 Certification, CE Certification, Organic Certification, ISO 17025 NABL Certification, Integrated ISO Certification to name a few of the popular ISO standards for which we provide services. Irrespective of whether your organization is at the starting phase of ISO implementation or you are midway or you are approaching certification audit or your system is well established and matured, our ISO certification services will surely add value to the overall effectiveness of your ISO management system and help the management realize their goal of sustainable competitive advantage. We provide ISO certification services in India, USA, UK, Saudi Arabia, UAE Dubai Abu Dhabi, Oman, Africa Maldives, Australia. Kindly contact us at info@lakshy.com to get your customized ISO certification programme developed for your organization. Our ISO certification services cover training, gap analysis, documentation, implementation assistance, internal audit, pre-assessment audit, assistance in selection of the ISO certification body and ensuring successful completion of the ISO certification audit. 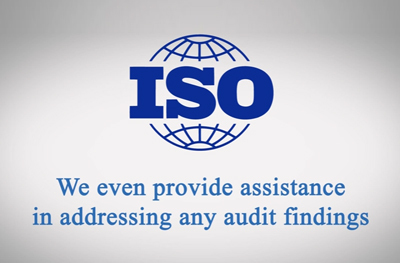 Once your organization is ISO certified, we make sure that you continue getting benefits from our post certification services to continually improve effectiveness of the system and maintain compliance level required to ensure that the regular surveillance audits and recertification audit is completed without any problem. We have provided our ISO certification related services to thousands of organizations across the world in the most cost effective manner in the most optimum time period resulting in an impressive 100% success rate for all the clients. ISO 9001 14001 haccp iso 22000 iso 27001 ohsas 18001 iso 20000 certification in Mumbai delhi Bangalore Chennai Ahmedabad Nagpur Kolkata pune india. ISO 9001 14001 haccp iso 22000 iso 27001 ohsas 18001 iso 20000 certification in india, usa uk Saudi Arabia dubai uae abu dhabi Africa Australia Maldives oman Greece. ISO Certificate and ISO Certification in india UAE Saudi. If you are in need of any specific accredited certification like NABCB, UKAS, JAS-ANZ, DAC, RVA, ANAB, SASO etc, we can suggest you the certification bodies that have these accreditations and can get you successfully certified to ISO standards like ISO 9001, ISO 14001, OHSAS 18001, HACCP ISO 22000, ISO 27001, ISO 20000, ISO 17025 etc. Note : the names of the certification bodies and accreditation bodies are for representation purpose only and Lakshy Management Consultant Pvt Ltd has no direct business linkage with them and it acts as independent to them apart from normal consulting company – certification body relationship.